APeeling Paper Crafts: Well...Color Me Happy! Hello my friends! I hope everyone is staying safe and warm this winter-it's been fun as usual in Upstate NY. It was in the 20's last weekend but was over 50 degrees here today! Ahhh Upstate NY weather how you keep us on our toes! 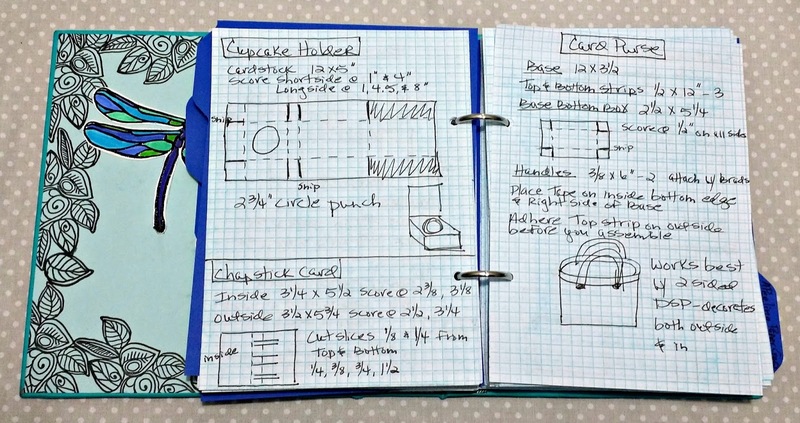 I keep a little journal with instructions and sizes to cut paper for the various projects I make. It's a little more handy right at my workspace than having to go to Pinterest all the time and looking up the pins and then going to the websites etc to find the instructions and measurements etc. I started just writing things down in a little spiral bound notebook as I came across them. It's worked great except there's no organization to the pages and now that there's so many entries I have a hard time finding what I'm looking for. I also got a little messy with some of the entries so it's a bit hard to read what I wrote down! So I decided I needed a new book. There were a few things I knew I wanted-1st I wanted it to be a certain size-not too big but not too small. I also wanted grid paper for easy drawing of dimensions etc. and it had to be ring bound so I could move the papers around and organize them however I wanted. I wasn't finding anything with those requirements...so I made one! 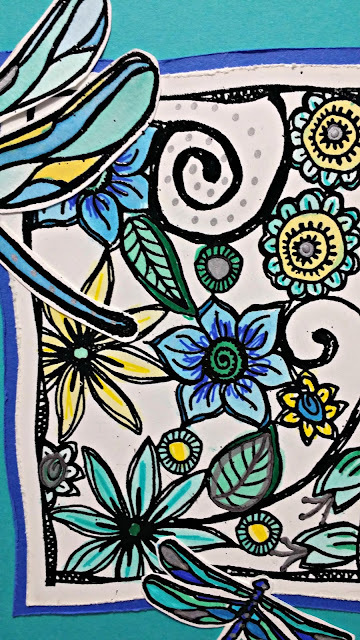 The kit at Club Scrap this month is called Color Me Happy and I love it! The colors are my favorite combination of teal and blue and brown and it has a beautiful batik designed images and papers! Beautiful! 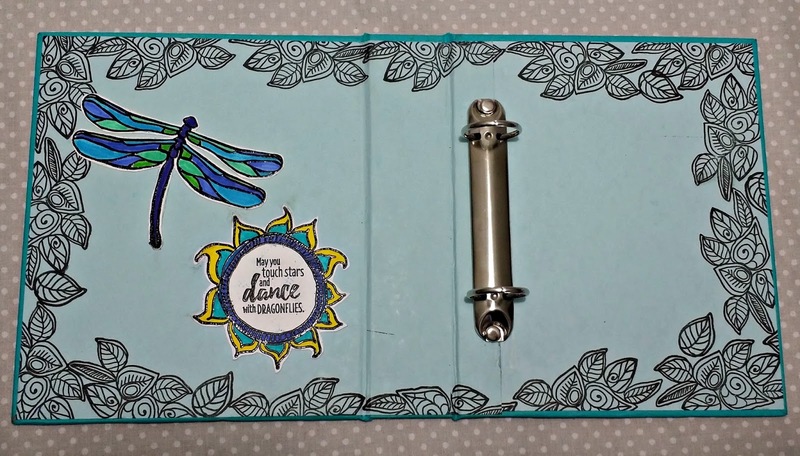 I love it so much I decided to use it to make my new journal! I used Club Scrap book board for the covers-I just love how chunky and sturdy that stuff is!! My book measures 6 1/4" x 7 1/2" with a 1 1/2" spine. I covered the book board with card stock from the Color Me Happy kit and glued it all together with Club Scrap book binding glue. I found some loose leaf grid paper at Wal-Mart. It was pretty thin so I actually folded it in half and glued it together with some thinned out white glue. It was a little time consuming but I'm so glad I did it! I hate it when the writing bleeds through to the back of a page. 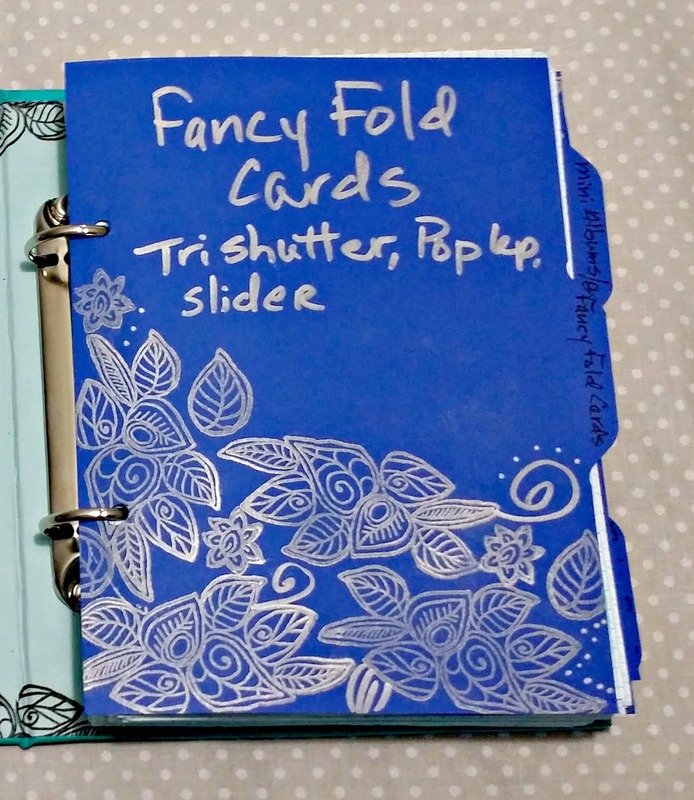 I cut each page 5 1/2" x 7 1/4"
I wanted the book to be more organized so added dividers with categories: Fancy Fold Cards, 3D Projects, My Own Designs etc. I used the gorgeous blue from the Deluxe kit for the dividers. I cut them 5 3/4" x 7 1/4" and used an envelope punch board to cut the filing folder type tabs. I stamped an image from the unmounted rubber stamps with Club Scrap Metallic Sliver ink. I used the Silver Paint Pen from this month's kit to hand write on the front of each divider. Here's a close up of the cover. 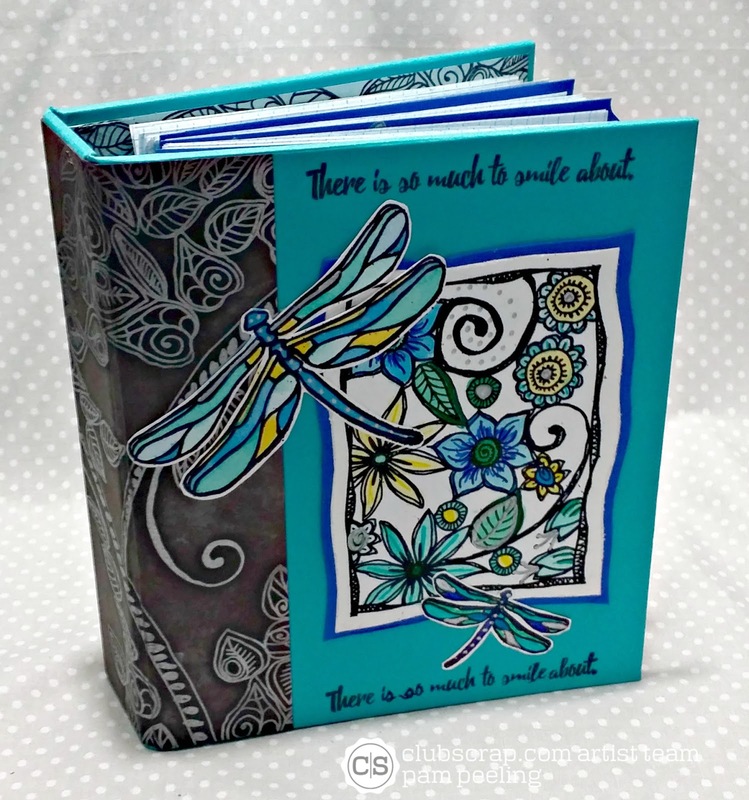 I used the stamps from the kit and black embossing powder for dimension. I hand colored the images with markers. I used the Silver Paint Pen again for details. Necessity is the mother of invention. Love your project. Gonna take advantage of this wonderful idea, thanks !! . . . And it is a perfect kit for the project . . .Love, Love, Love !!! !